Turkey hunting is one of the trickiest forms of hunting, due to the intelligence of the bird, natural cautiousness, and the bird's highly developed senses. Due to the challenge, there's nothing quite like bagging that big old gobbler on a fresh spring morning. Calling is an essential technique when turkey hunting, and with the right strategy, the right types of calls and a working knowledge of the bird, you'll be ready for Thanksgiving (if a bit early) in no time. 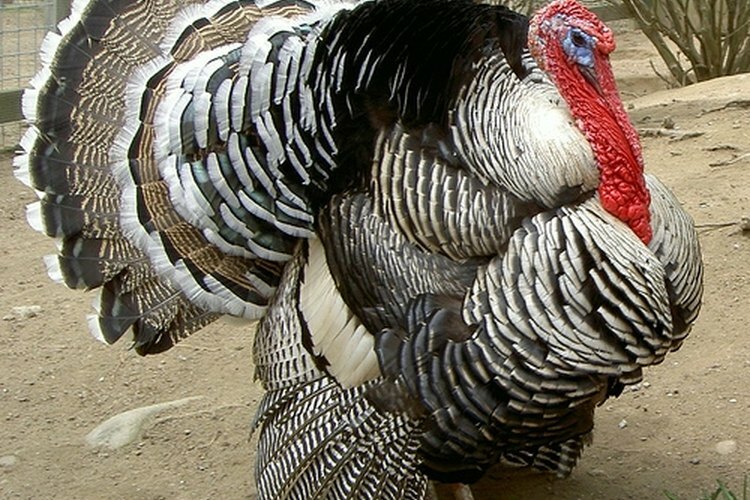 When calling for turkey, keep in mind that no one type of call will work on every turkey. Different animals will simply respond better or worse to different calls, and getting a turkey in close enough for the kill is often a matter of trying different calls until the turkey hears something it likes. To this end, it pays to know how to call with more than one type of call, and to carry more than one in the field. Use louder calls to start the process, and quieter calls once you think you have a fish on the hook, so to speak. Once you have located a turkey, switch to soft clucks, yelps and purrs. Peg and pot calls (also known as the slate call) are a type of friction call. Simply hold the peg in one hand and the friction board in the other and and drag the peg across the board to produce sound. Use this same basic technique with wooden box calls. Another highly effective type of call is the push-pull pin type, some of which can be mounted on a gun for quick use with minimal movement. Friction calls the easiest type to learn how to make a realistic call sound with. Air calls are good wet and windy weather calls, as wetness will affect the friction surface and therefore the call quality of friction calls. These are generally quieter calls, used best to get the turkey to take those last fateful steps into weapons range. Tube calls are another type of call that is unaffected by weather, and can be very loud, making them a good backup for a friction type call. It requires movement, however, making it a subpar finishing caller. Knowing your target is important in all hunting endeavors, and turkey hunting is no different. When a turkey is with hens it will be much less susceptible to calling, as it has something else to occupy its attention. If you suspect this, the best thing to do is to try and call the hens and hope the male will follow. Copy any sounds the hens are making. This will anger the other hens and bring them in looking for a fight, and with any luck the male will follow. If a male is without a hen, trying to sound like a hen will attract him as well, if for a different reason. Besides your calls, use a hen wing to brush and flap against a nearby tree, simulating a hen entering or exiting a roost. It can also be effective to scratch nearby leaves with your hands to imitate a hen feeding.